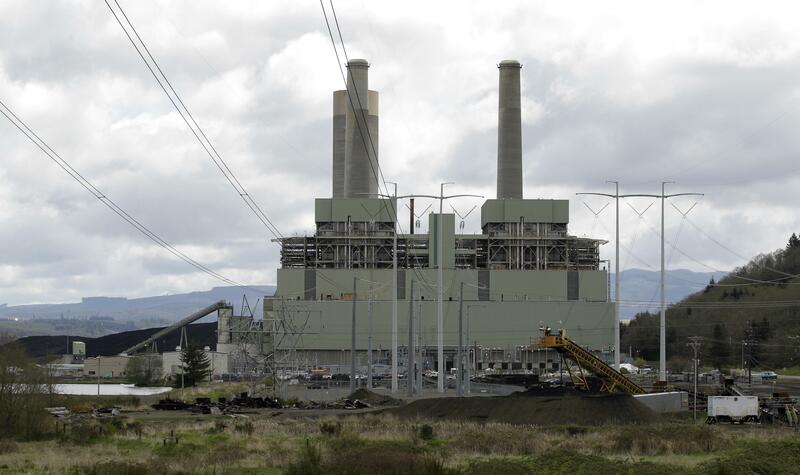 UPDATED: Wed., Aug. 22, 2018, 10:07 p.m.
SEATTLE – Washington state plans to sue the Trump administration over its proposal to dismantle pollution rules that would have increased federal regulation of emissions from coal-fired power plants, Gov. Jay Inslee said Wednesday. The state will file a lawsuit – likely joining with other states – but it must first wait for the EPA rule to be formally proposed and finalized, which could take months, said Bill Sherman, the attorney general’s counsel for environmental protection. It also acknowledged that the increased emissions from aging coal-fired plants could kill hundreds more people annually and cost the country billions of dollars. Sherman said it’s too early to discuss details about the state’s legal challenge but they’ll likely argue, among other things, that the EPA is acting beyond its authority under the Clean Air Act and contrary to science and facts. The EPA proposal broadly increases the authority given to states to regulate existing coal power plants. Inslee, who has made climate a key priority, has pushed to phase the state off electricity from coal. The state’s only coal-fired power plant in Centralia is already scheduled to stop burning coal entirely by 2025. Two older units at the Colstrip coal plant in Montana supplies coal-fired electricity to Washington state and are scheduled to close by mid-2022. No date has been set to close two newer units at that plant. Several proposals to bring coal through Washington for export also have been defeated. Washington is facing a legal battle over its decision to reject permits for a massive proposed coal-export terminal on the Columbia River in Longview. On Tuesday, a federal judge allowed California, Maryland, New York, New Jersey, Oregon and Massachusetts to file a joint amicus brief supporting the state in the case. The state Department of Ecology denied the project a water-quality permit last fall, saying there were too many major harmful impacts. Utah-based Lighthouse Resources, which operates coal mines in Montana and Wyoming, sued Washington in federal court in January, alleging officials violated federal laws in denying approvals for its $680 million Millennium Bulk Terminals-Longview project. The company accuses the governor and state regulators of being anti-coal and discriminating against it by blocking the movement of coal mined in other states from being exported. Wyoming, Montana, Kansas, Utah, South Dakota and Nebraska and several national industry groups have filed legal briefs backing project developers, saying the case has broad implications for the export of commodities that are important to many states. Published: Aug. 22, 2018, 1:23 p.m. Updated: Aug. 22, 2018, 10:07 p.m.